Drafting a better future for ALL! 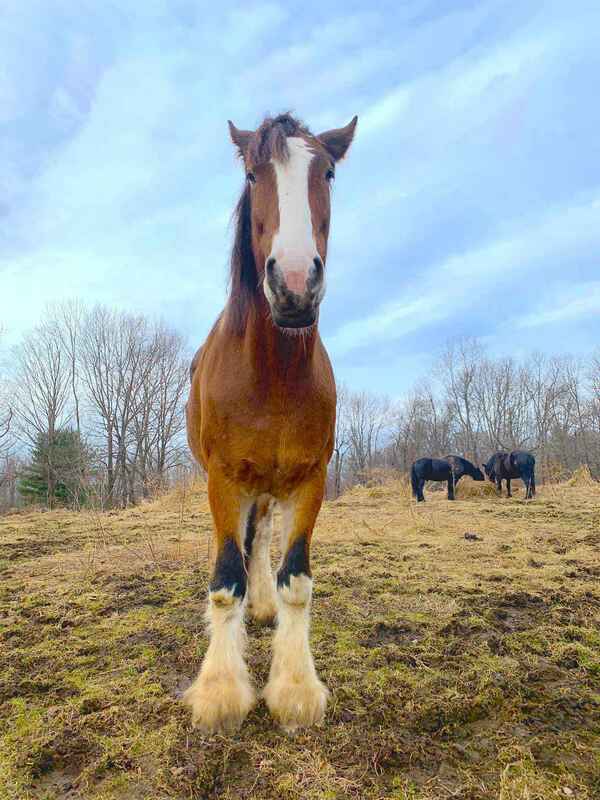 As a herd member, you become an integral part of Blue Star Equiculture's mission to care for and tend to the daily needs of the Blue Star farm. Your monthly donation makes a huge difference in the lives of the horses who call this farm home. For as little as a $15 a month you can help provide the consistent stability and care the retired, disabled and homeless horses need. Work Horses are our National Treasure! At Blue Star Equiculture, we honor this ancient partnership and take full responsibility for being part of a culture that has benefited greatly by their service. We created this organization as a way to give back and express gratitude to our noble equine friends. Our many programs celebrate and share horses' greatness within our communities, so that all people can take part in meaningful opportunities to understand our equine partners better – and thus care enough about our equine friends in need to do their small part to care for and sustain them on the shared road ahead. All online donations are processed through our secure PayPal site, and all donations are tax deductible. We want to express our great appreciation for all the Herd Members who have helped to sustain us! In loving memory of Carolyn Fuller Coggins. Miss you Carolyn <3 You brought the love of horses to so many!